Panarea. Oddly, for all its glamour, this island’s true charm comes largely from what it is not. 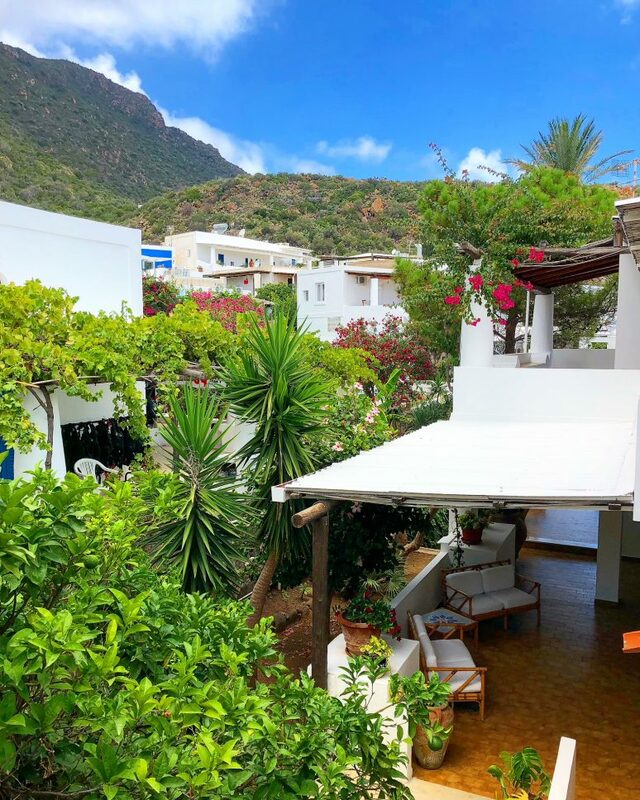 It is Panarea’s enchanting isolation that is its greatest allure. It is a secretive and down-to-earth place, a hideaway where little happens and simple pleasures are key. 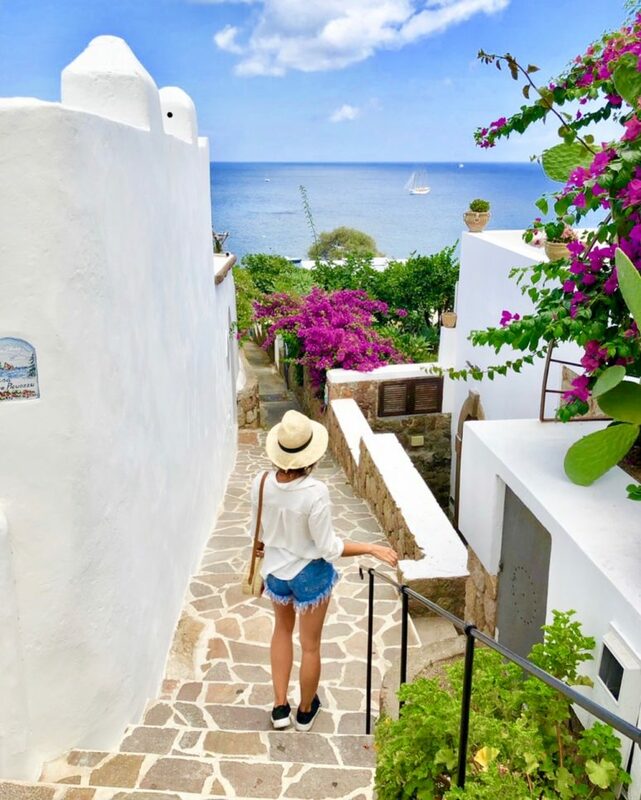 There are few, if any, places left in the world that are this beautiful yet so serene, making Panarea one of the last safe havens for understated luxury. 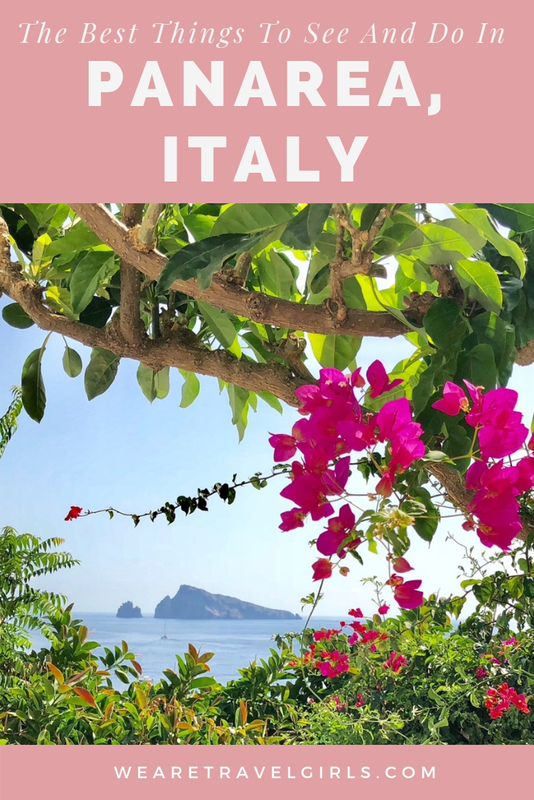 Located in Sicily’s idyllic Aeolian archipelago, the atmosphere in Panarea still feels like the 60’s – a time before discount air travel congested beautiful vacation retreats with weekend gatecrashers. 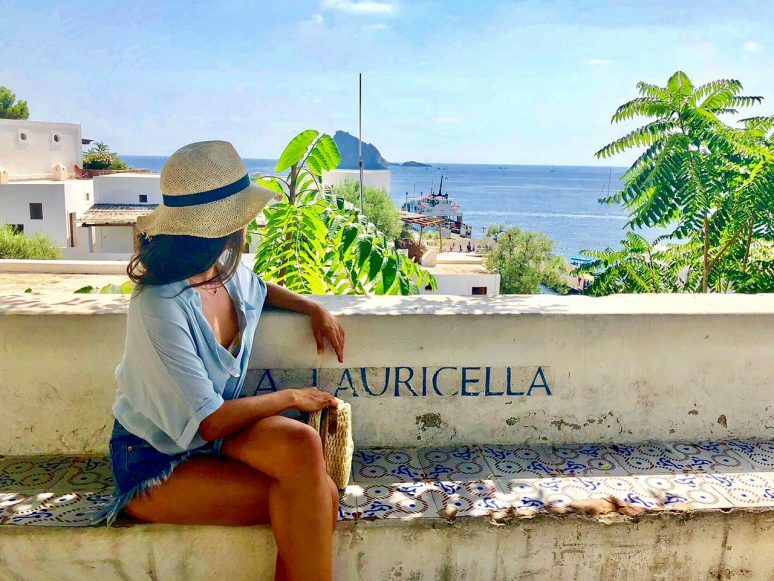 In the summer, the island’s 300 permanent residents are joined by Europe’s elite, with fashion designer Stefano Gabana and the Prince of Belgium being just a few of this island’s regular visitors. 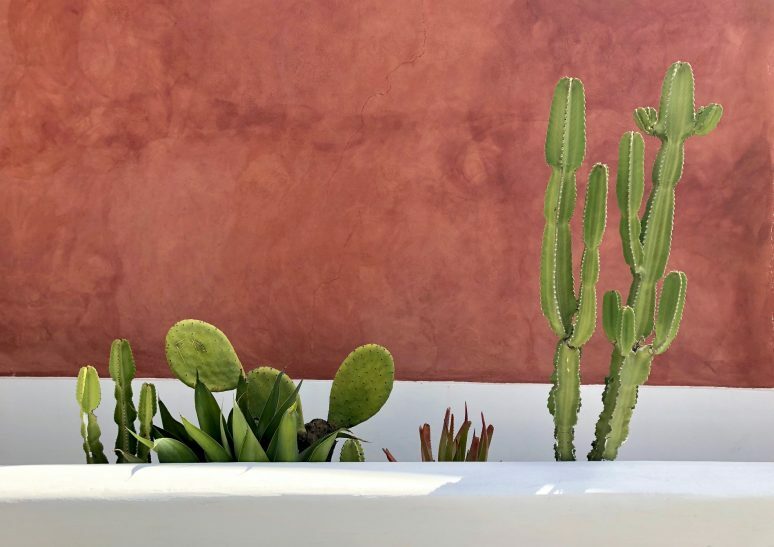 Somehow, this tiny island off the north coast of Sicily has quietly become the epicentre of the best summer scene in the Mediterranean. And if you ask me, it is one of Europe’s best-kept secrets. 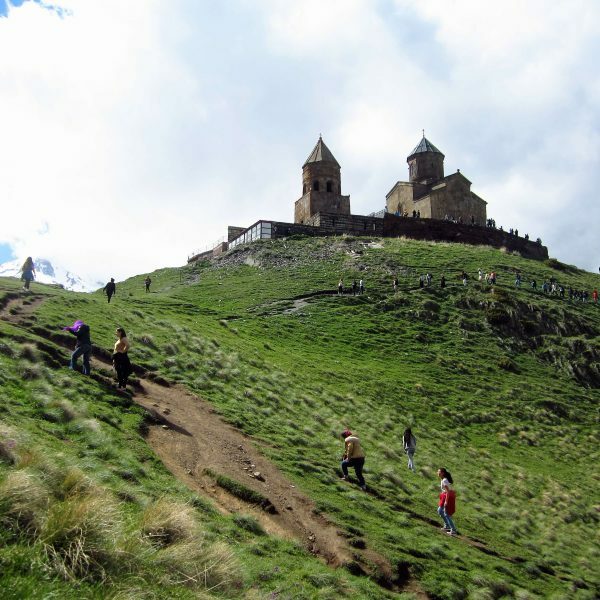 Two-thirds of this tiny island consists of green hills, agricultural land and volcanic formations. 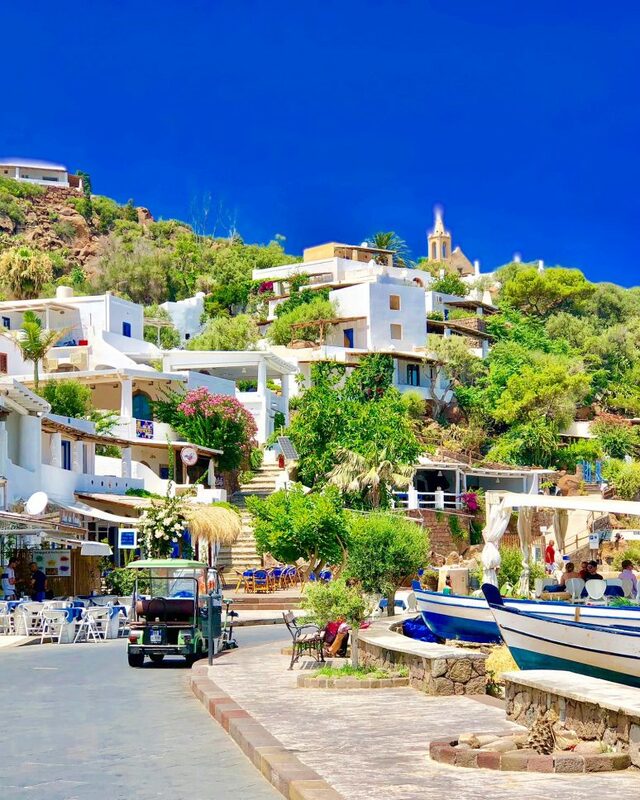 The rest of the island is made up of quaint, meandering streets and stunning coastlines. Despite several taxi golf carts whizzing around, walking is still the main mode of transport on the island (no cars here!). So, get your walking shoes on and start exploring. San Pietro is home to most of the island’s hotels, bars, restaurants, and shops. 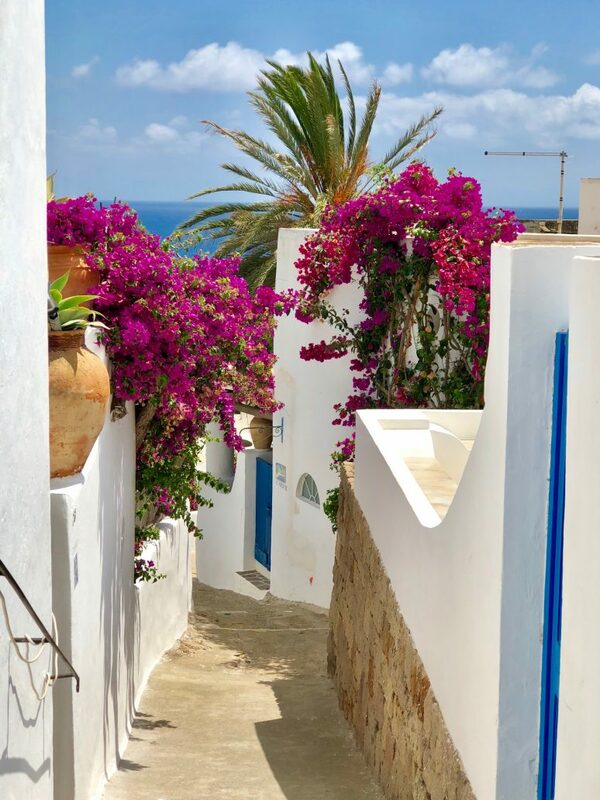 It is the only developed area of the island, and even then, it’s still very much a village where almost nothing is more than a 5-minute walk from the port. This one is not for the faint-hearted! However, if you do make it all the way down to this stone beach you will most likely be rewarded with complete isolation. Given its remoteness at the northern part of the island (and the long hike uphill back to civilization), this beach is often completely empty. There are no facilities here so pack plenty of food and water. But the unrestricted view of Stromboli doesn’t get better than this! 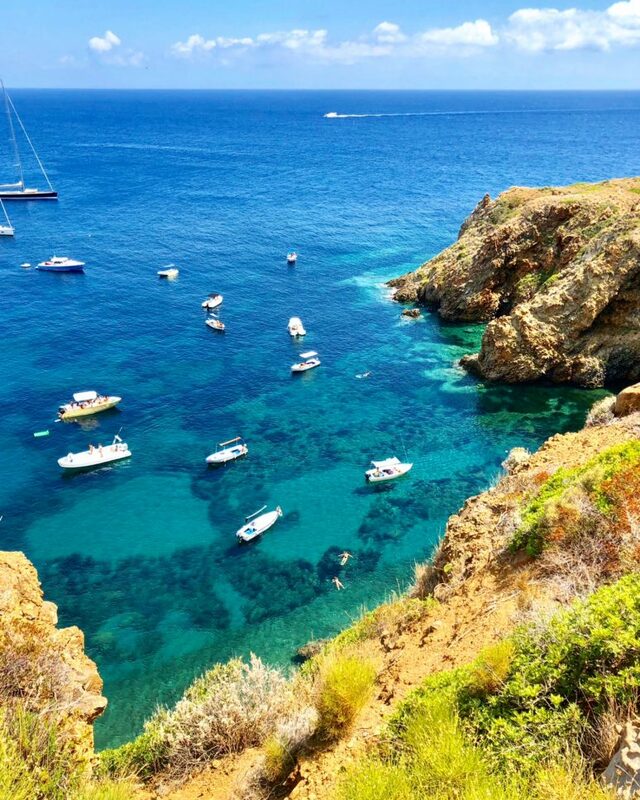 Cala Junco is a rocky bay sitting within a natural amphitheatre, created by basalt cliffs. From the top, you’ll have gorgeous 180-degree views of crystal clear water that varies in colour from aquamarine to emerald green, turquoise and intense cobalt blue. 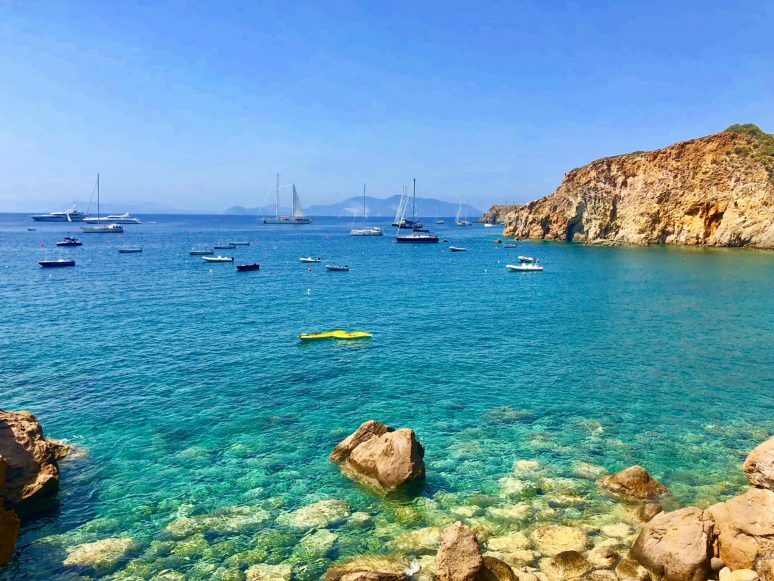 The best way to enjoy the waters around Panarea is by boat. While you cannot hire kayaks or paddle boards on the island, you can hire your own gozzo! This is the local term for a little boat. Spiaggia Zimarri is the only (brown) sand beach in Panarea. 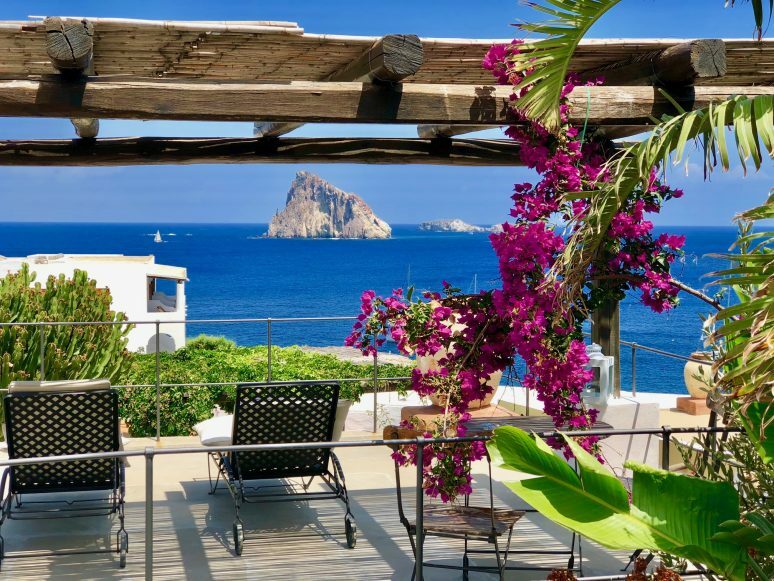 While it is a little cramped, you can hire a lounge chair and pick up snacks at the little Cala Panarea café by the shore. It is a great place to take a refreshing dip in the Mediterranean if you don’t have access to a boat. If sandy beaches aren’t your thing, try nestling into the rocks in the tiny cove of Punta Torrione. Hidden down a small street, there are stairs leading down to the water where you can easily swim out into the ocean. The crystal-clear water here is to die for! After these excursions, Panarea’s other attractions are simple: sitting with an aperitivo and watching the sunset light up Dattilo; watching dark puffs of clouds emerging from the crater of Stromboli; enjoying a picnic lunch on your balcony looking at the sea; and dining at one of the many nice restaurants which huddle around the port. 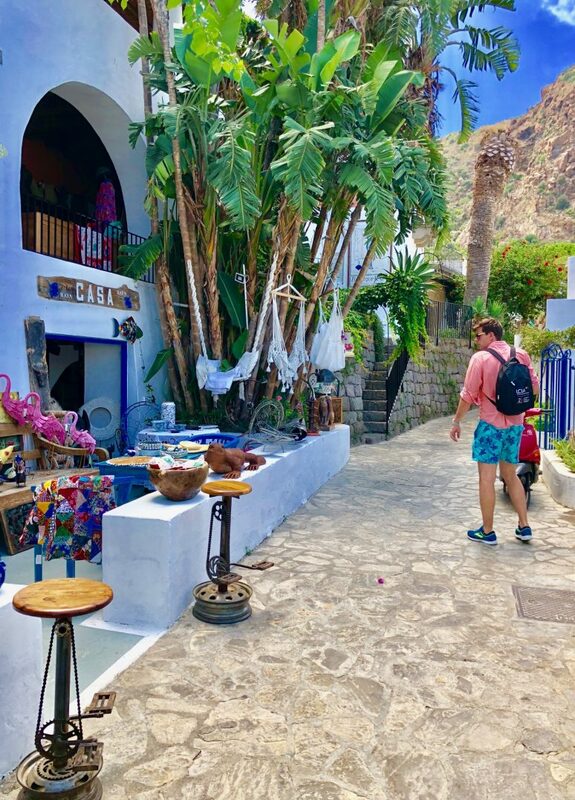 Head to the Panarea bakery ‘in Forno’ on Via San Pietro to pick up some coffee, fresh local pastries and tasty arancini. The little ‘Da Pina’ supermarket near the port is full of local goodies – I recommend trying the Panarean cheese and green olives from the deli section. 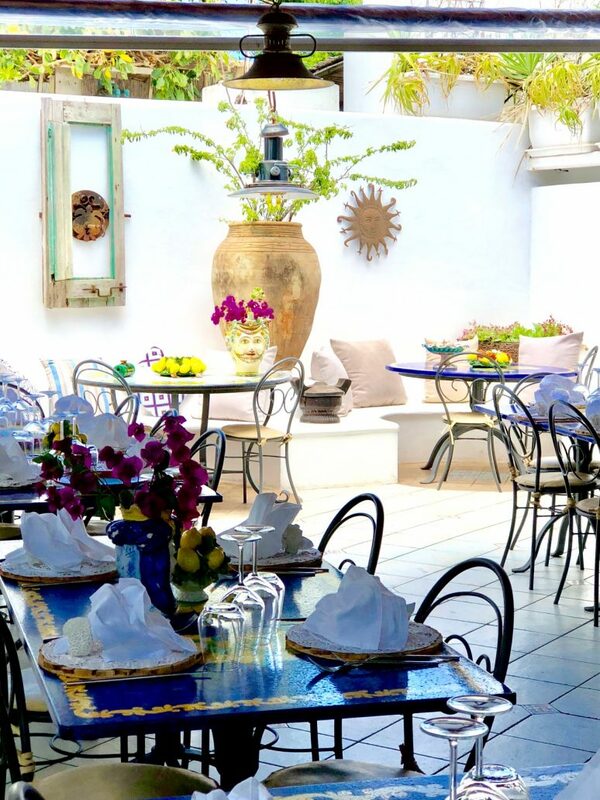 Adorned with local Silicon ceramics and lush green plants, Ristorante Da Pina offers up some amazing pasta. I highly recommend the huge plate of spaghetti vongole. 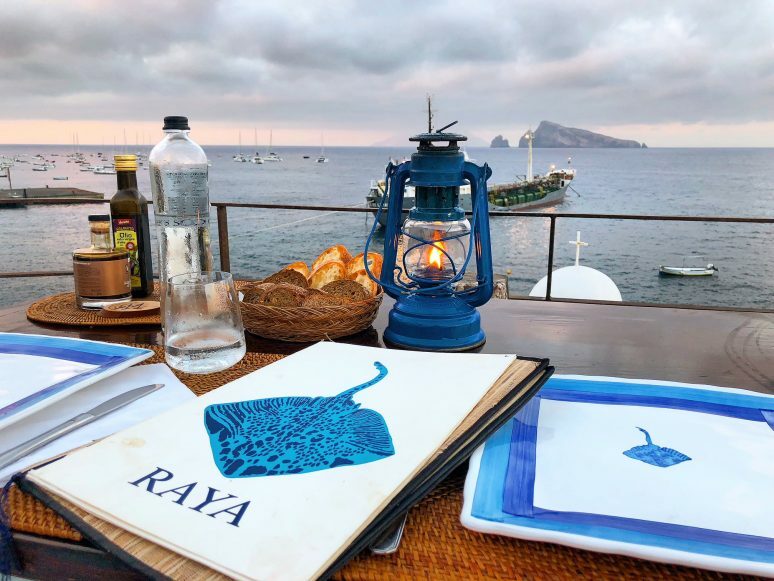 Hotel Raya Restaurant & Roof Terrace offers delicious food with a spectacular view. It also turns into (allegedly) Europe’s best outdoor nightclub on Saturday evenings throughout the summer. The Bridge Sushi Bar is the place to be any night of the week in Panarea. Here you will rub shoulders with incognito celebrities and young locals wanting to have a good time. A DJ spins loud music while people enjoy a drink or hit the dancefloor. 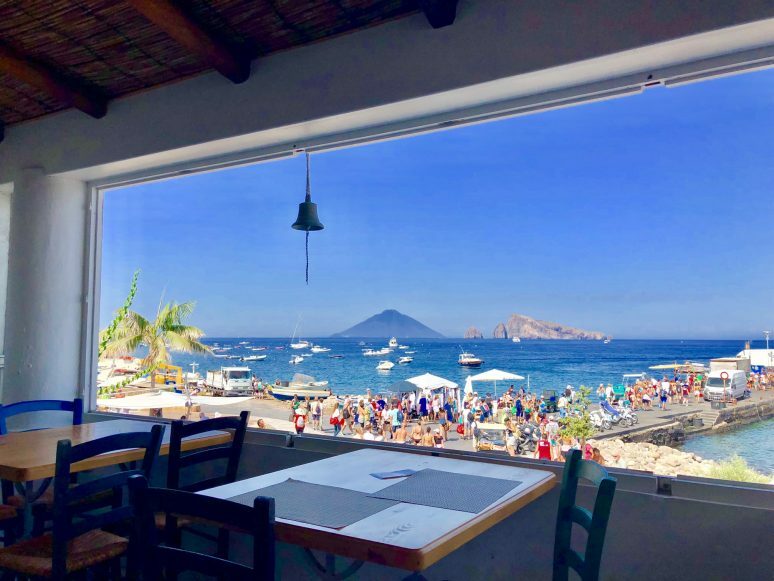 Adelina La Trattoria, located in the port, is a relaxed restaurant with a breathtaking view. Grab a seat by the big open window, order a pasta and watch the world go by underneath you. Ferries land at the port in San Pietro and most of the accommodation in Panarea can be found within walking distance. Hotel Raya is arguably the most famous hotel on the island. Most rooms have beautiful terraces that face the ocean. You can see Stromboli and the island of Vulcano in the distance. 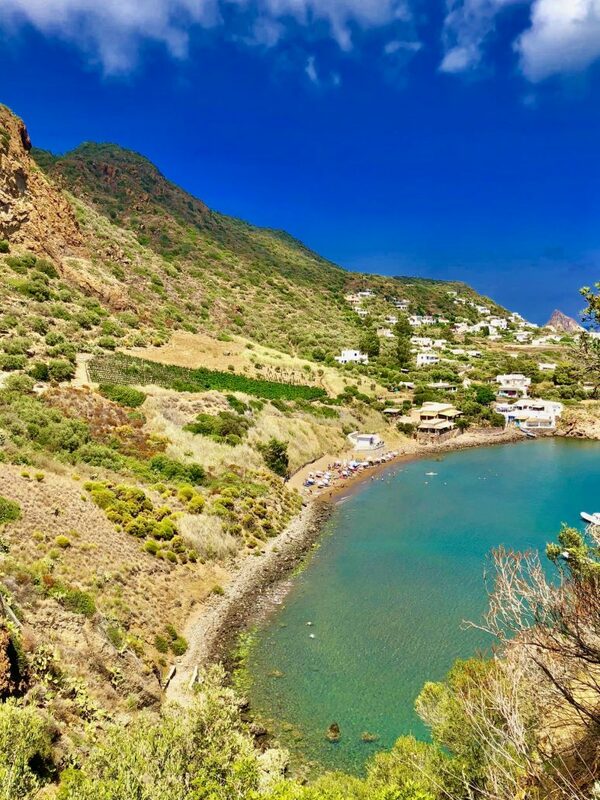 Here you’ll have Panarea’s best restaurant, bar and nightclub on your doorstep. Hotel Tesoriero is a very short stroll from the port, this hotel has everything you need without breaking the bank. Request one of the rooms with a terrace and view over the sea. A simple, tasty buffet breakfast is included in the price, and the hotel doesn’t mind if you want to enjoy it on your private terrace! Other well reviewed accommodation options include B&B da Luca, Hotel I Cinque Balconi, and Le Sette Perle. You can search for more accomodation options here! Plan your trip to Panarea mid-week to avoid large tourist groups and Italians looking to party over the weekends. Bring comfortable walking shoes and a hat – you’ll be out walking in the extremely hot sun a lot! 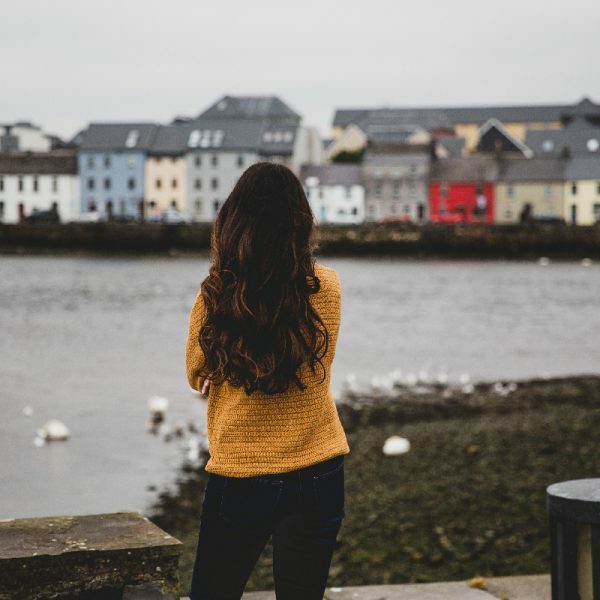 If you have extra time up your sleeves, plan a day trip to one of the beautiful neighbouring islands. 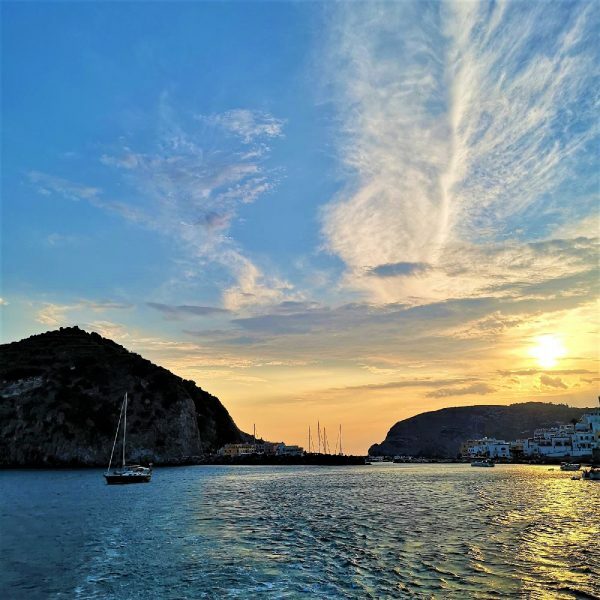 Have you ever been to Panarea? If you have any questions about the information please leave these in the comments below. It looks like a greek island! I MUST GO HERE! WOW!